It looks like our latest Elite Suction Dart rumor gets solid clarity now. The Target USA website has very recently put up a listing for Elite Suction Darts. Or as the site calls them, “Elite Universal Suction Darts”. 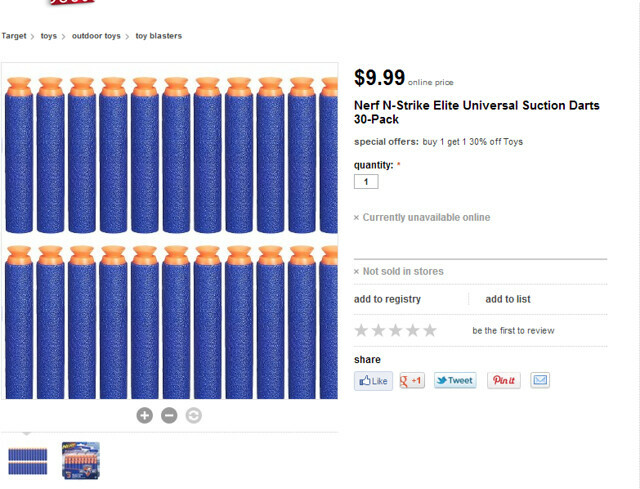 The 30 pack costs $9.99, just like a 30 pack of normal Elite Darts. At the moment, it currently isn’t available to buy online nor in stores. With the listing appearing now, it seems like we’ll be getting these much sooner then the March 20, 2014 date that was listed in the Japan Toys R Us site. I speculate that the USA might possibly be getting these in the Winter in time for the holidays, in sort of the same vein as the upcoming Zombie Strike Crossfire Bow, Sidestrike, and Mega Magnus blaster. I’m also starting to wonder now, will stores be selling these in a 75 pack as well? You can check the rest of the post to see the listed production description and images they put up. 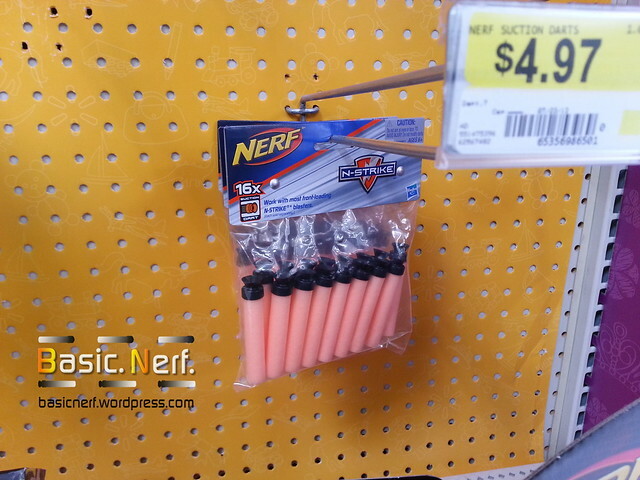 Thanks to user Gavinfuzz of the Nerf Sub Reddit, and Toys R Us Japan, we have a small look at a new kind of dart coming in the future. It’s the old, classic, Suction Dart, but it’s now attached to an Elite Dart body. Below is the Google Translated description of in the listing. Sucker type micro darts 30 bullet set ultimate version that corresponds to the blaster elite series of all. ※ There is the case that is slightly different image and the actual product. The Release Date on the listing is 2014/03/20. That’s March 20, 2014. Which is a bit of a ways off from now. 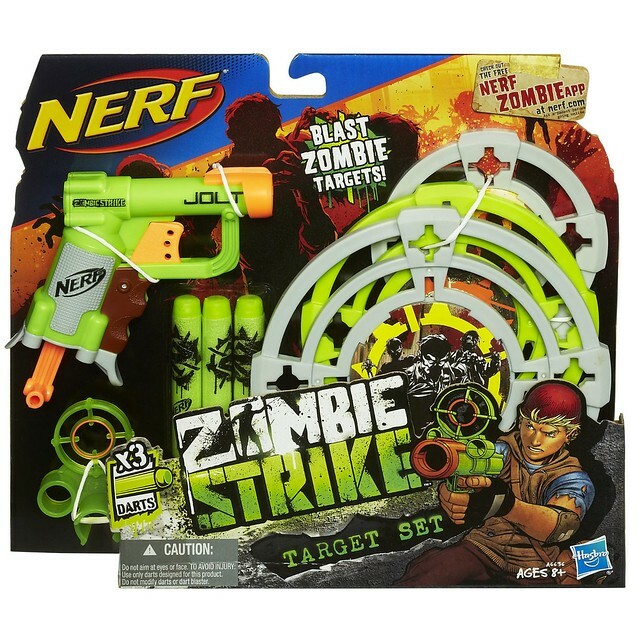 Take note that the package features the selling point “Suction Darts work with all N-Strike Elite blasters.” If that’s the case, then it should work with the Clip/Mag fed blasters like the Retaliator, Rampage, Rapidstrike, etc etc. That most likely means that the suction heads on these upcoming darts will be smaller then the normal suction darts. Hopefully this means more weigh and/or better ballistics, so that these darts fly straighter and give us better accuracy. I ran into a bit of surprise a few days ago. While out and about a few days ago looking for the Rapidstrike, I ran into these at Walmart. 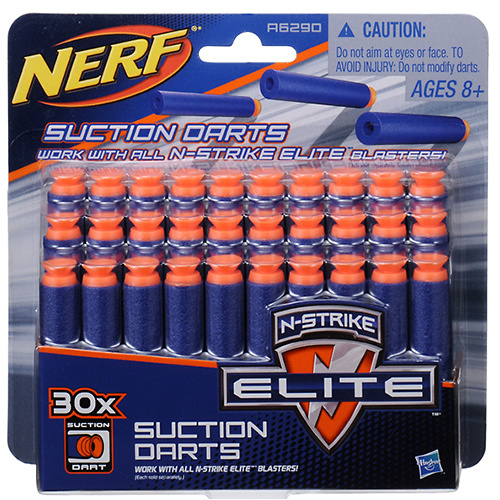 They the normal suction darts, but their packaging is re branded colored with the Elite colors. The darts look like the same normal suction darts, and they felt like the same type of phone through the plastic package. 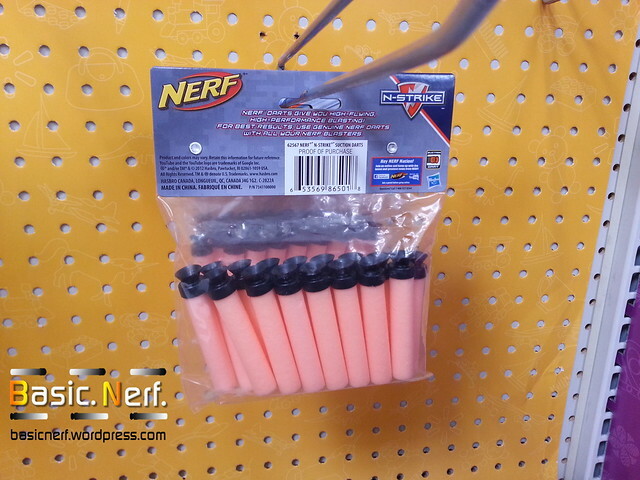 Although I mostly buy Elite darts now a days, it’s nice to see that Nerf is still keeping the Suction Dart alive.